CHANDRA ROULSTON. Before most of us had made our morning coffee, they were gone. I come from a country town in central Queensland called Biloela. A town where you can leave work to pick up the kids from school and it takes five minutes because we have one traffic light. A place where the “Buy Swap Sell” pages in the local newspaper are equal parts items for sale and posts asking: “Anyone know who owns this?” My favourite so far being a runaway bull on the golf course. And then Border Protection took our neighbours. It’s a town that rises early, a town of farmers beating the dawn, businesses opening their workshops and shift workers going to or coming from the power station, nitrate plant, meatworks or perhaps one of the mines. A town that quietly goes about its business. 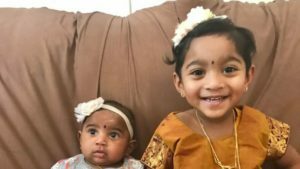 That is until early Monday morning two weeks ago when Border Protection officials arrived just as our day shift workers were getting ready to head off and took two of our residents, Nades and Priya and their daughters, from their home and our community. 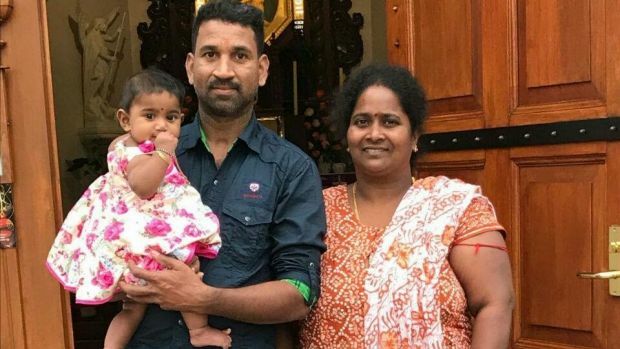 Nades was getting ready to go to work at the meatworks while his wife Priya was heating a bottle for their nine-month-old Australian-born daughter. Juggling the morning as mothers do, having a two-year-old as well. Before most of us had made our morning coffee, they were gone. On a plane to a detention centre in Melbourne. Ready to be deported. Nades has worked at our local meat works for the past four years. The meatworks that is a vital industry in our town. It has consistently struggled with local labour and relies heavily on migrant and refugee workers. Nades and Priya arrived separately in Australia by boat back in 2012 and 2013. They arrived as Tamil refugees seeking asylum in the aftermath of Sri Lanka’s civil war. They were married in 2014 and have since had two beautiful daughters, born here in Australia. They are a part of our community. Nades volunteering down at our local Vinnies when he first arrived. Priya cooking her curries for the doctors at our local hospital. Both insisting on having other meatworkers join them for meals to show how grateful they were for work and sanctuary in Australia. The government says their visas have expired and they don’t deserve protection. We hope the Minister for Home Affairs, Peter Dutton, will intervene. When you live in a rural town you might not know everyone, but you will know someone who knows someone, and that makes you neighbours, not strangers. Perhaps that is the reason we have been so struck by this. Our neighbours have been taken and we want them back. Chandra Roulston is the vice-president of the Callide Dawson Chamber of Commerce.